The geographic and economic center of New Hampshire is the vibrant Merrimack Valley. This region features some wonderful and classic NH country inns and B&B lodging. Manchester, Bedford, Derry, Salem, Nashua, Hollis, Amherst, and the State Capitol of Concord are located here. NH’s busiest airport (Manchester Airport), The Mall of New Hampshire, and Verizon Wireless Arena is also located here. Local attractions include; Canobie Lake Park and historic Canterbury Shaker Village. Relaxing and comfortable accommodations in an historic colonial set on over two grassy acres of rolling farmland in quaint Hollis, NH. Visit Manchester NH - the largest city the state. The Fisher Cats play professional baseball every summer and Verizon Wireless Arena and Palace Theater feature concerts and live performances year round. The Mall of New Hampshire and Manchester Airport attract thousands every week. See our Top Trip Advisor rated Manchester NH lodging. Find NH BnB Lodging in the beautiful Merrimack Valley region of central New Hampshire. Visit Manchester, Bedford, Concord, Nashua and Salem. New Hampshire's Internet Magazine offers suggested MMerrimack Valley NH lodging. Choose a town from the drop down menu or browse the listings of New Hampshire inns and B&B’s below. 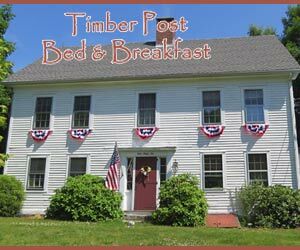 If you would like to add your Merrimack Valley New Hampshire Inn or Bed and Breakfast, please contact us.